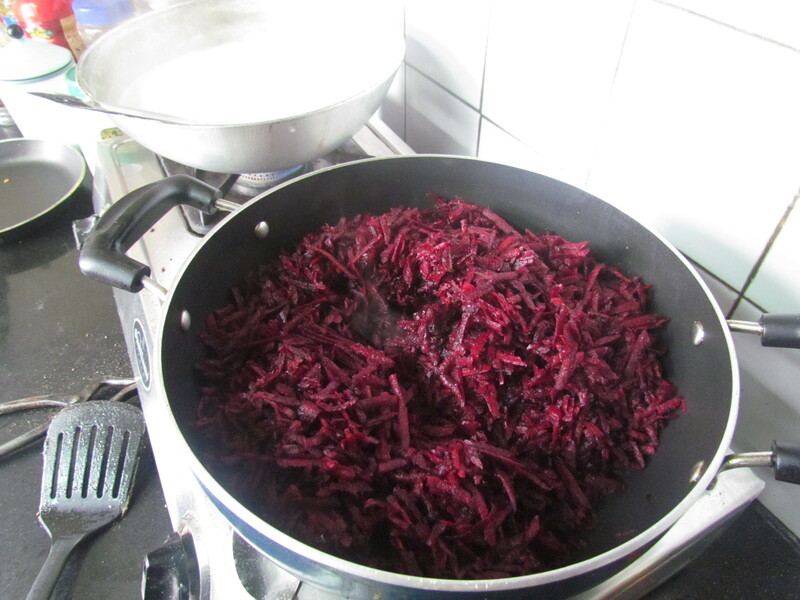 Most places that we dined out this winter, beetroot seemed to b the vegetable of the season – across cuisines & across eatery types. 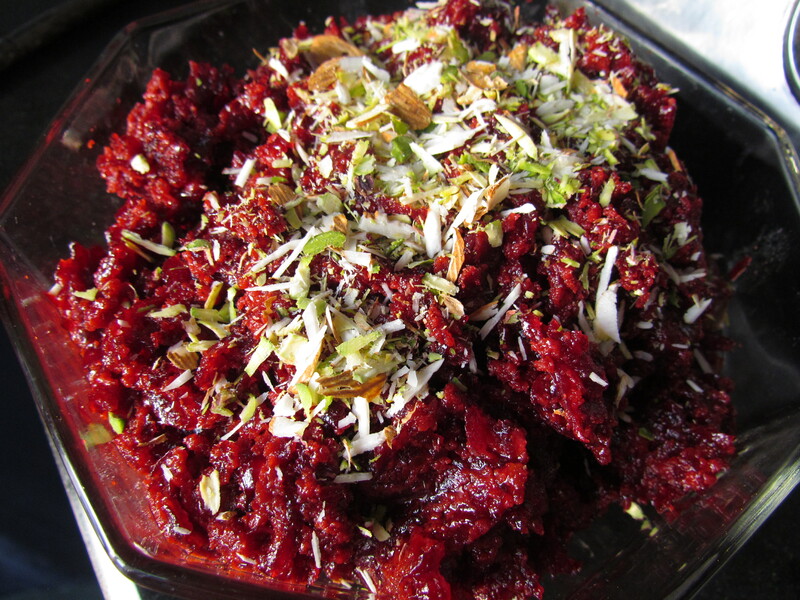 Spanish eatery Pintxo, Punjabi restaurant Punjab Grill, Fusion restaurant Indian Accent, Indian Coastal food restaurant Amarantha, Mughalai restaurant Al Karam & so on………………..That was most unexpected as to my knowledge beetroot is not one of the most popular vegetales around. Everyone had their own unique version & had been creative in coming up with YUMM dishes. 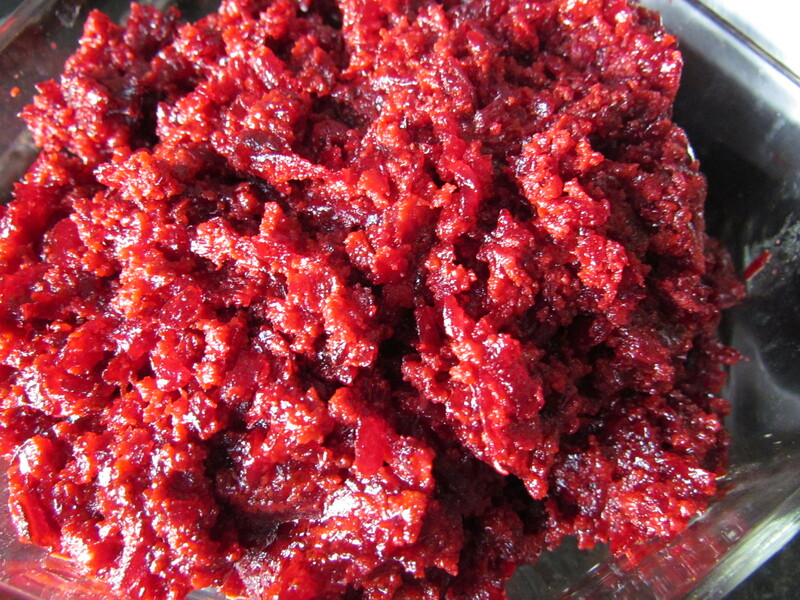 I came across the idea of making Beetroot halwa after eating the same at Al Karam. I just loved it. That gave me a thought that it was tasty yet simple to make. So, planned for the cooking & came up with my own version which is of course different than the al Karam one but er I was told it was ‘too good’. The dish came out excellent in the first go & everyone who tasted it went ga ga over it. 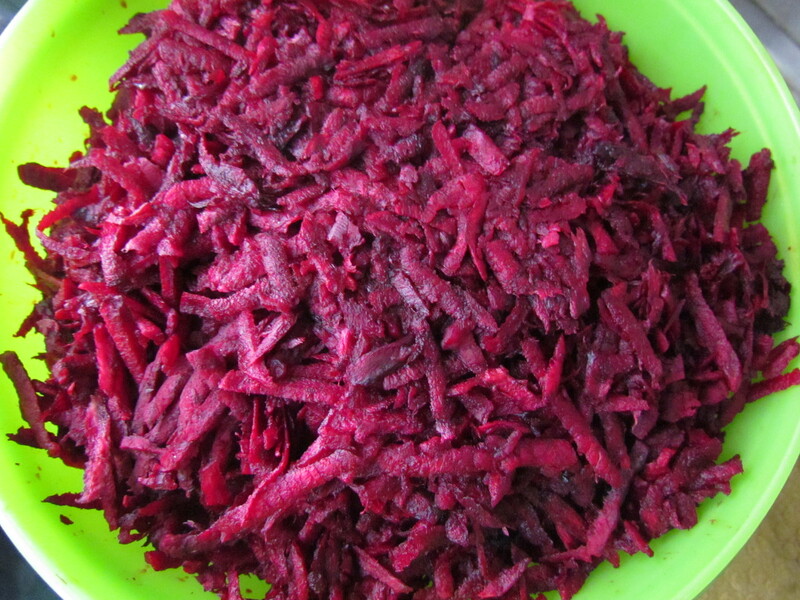 Peel & wash 1 kilo beet root & Grate it. 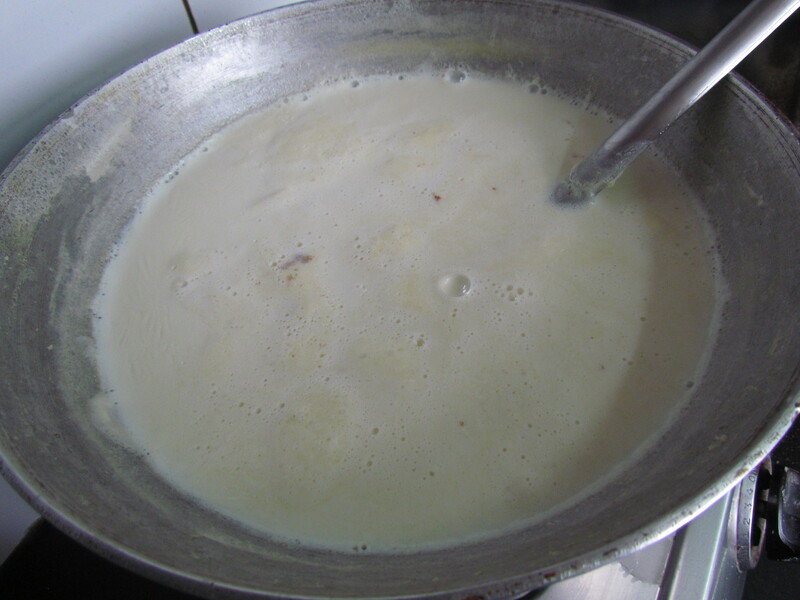 In another pot start heating & stirring 1.5 litre full cream milk till it reduces to almost half the initial volume. 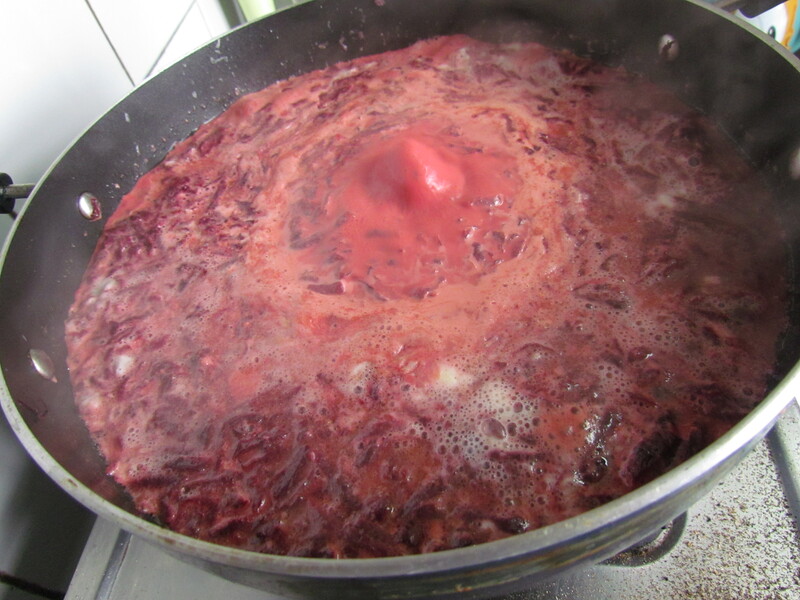 Once the moisture of the beetroot reduces, pour the reduced milk. Keep cooking it. Keep stirring so that it does not stick. The mixture gets orangish. Cook till the milk has evaporated. Add sugar to taste. I use 3 fistful sugar, stir it and then taste. Then adjust accordingly. 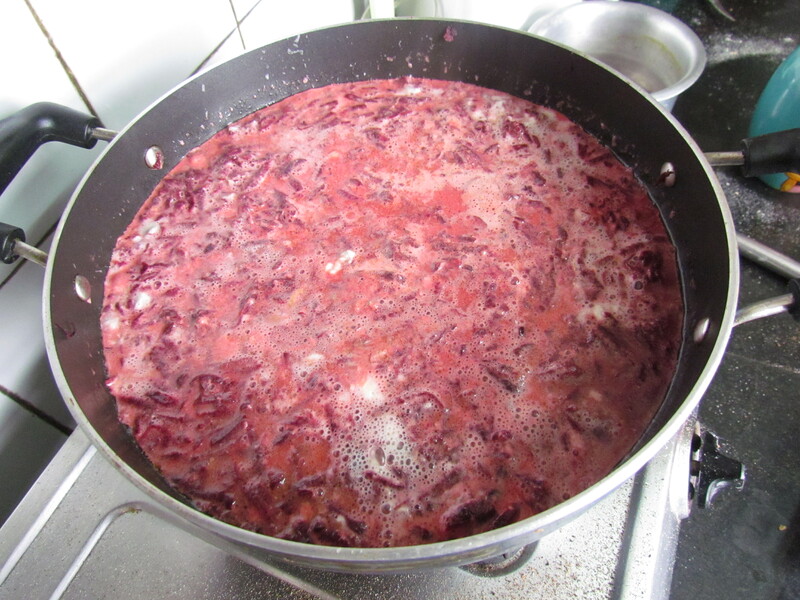 Sugar will make the beet root release some more water. Keep it on heat till this dries. Add 200 gm of khoya kheer and mix well. 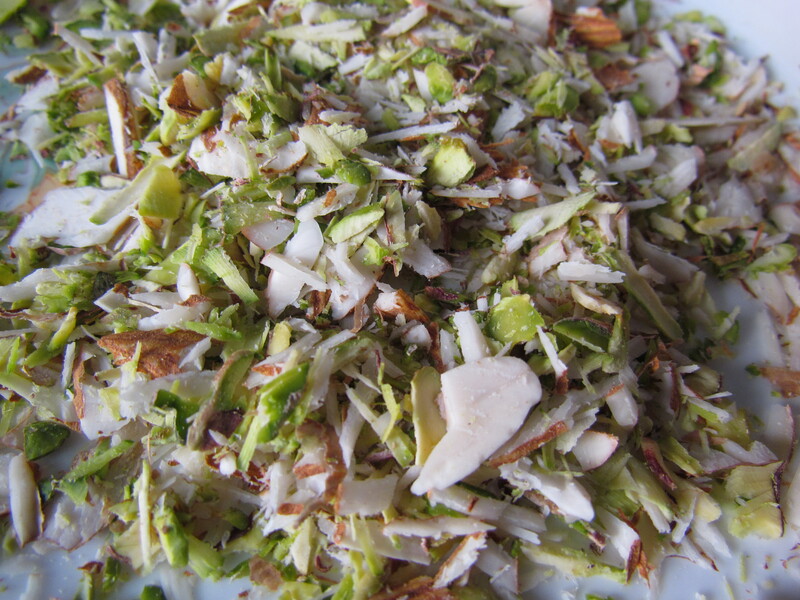 Serve warm, garnished with thinly sliced dry fruits. For later usage, microwave for 20 seconds per bowl and NJOY. Better way is to slow heat on a tawa & serve. Look forward to ur comments after u try making this super dessert.